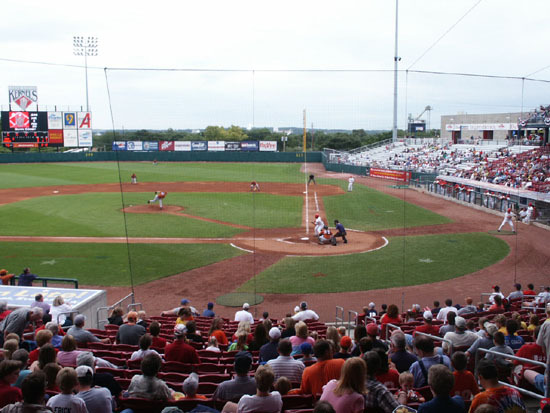 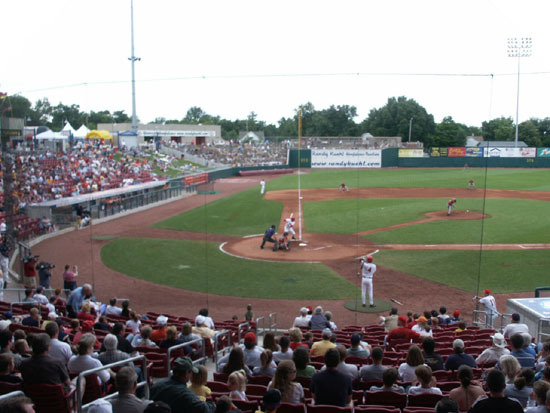 The Cedar Rapids Kernels, a Single A affiliate of Anaheim, play at Veterans Memorial Stadium which was built in 2002, seating 5,300. 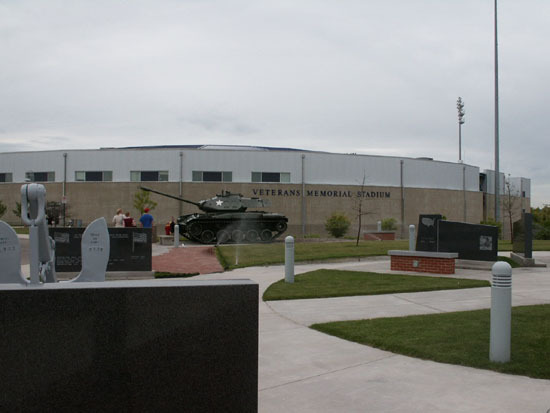 This is a nice new stadium that is part of a complex of football stadium and ice arena with an all veterans memorial in the middle. 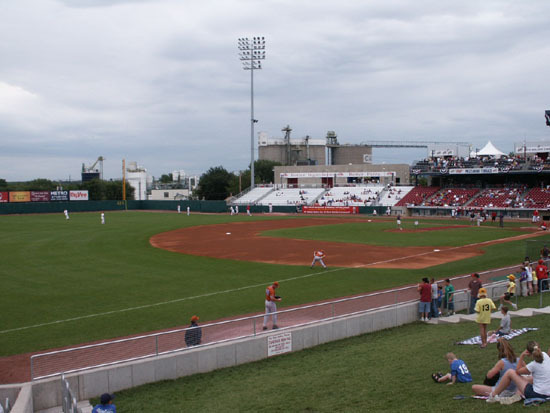 There are red seats below a wide concourse within the infield, aluminum backed bleachers from first base to the right field corner, and lawn seating down the third baseline. 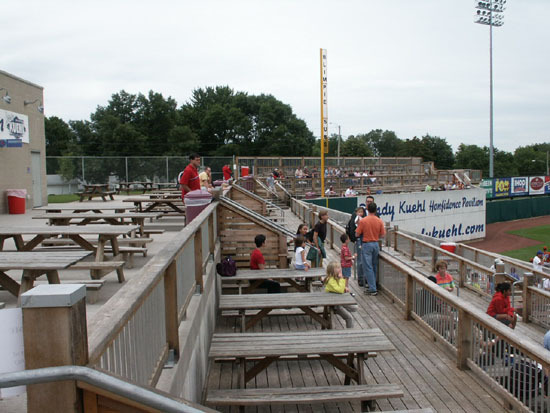 There is a terraced party area with picnic tables around the left field corner with the "home run hottub" at the end. 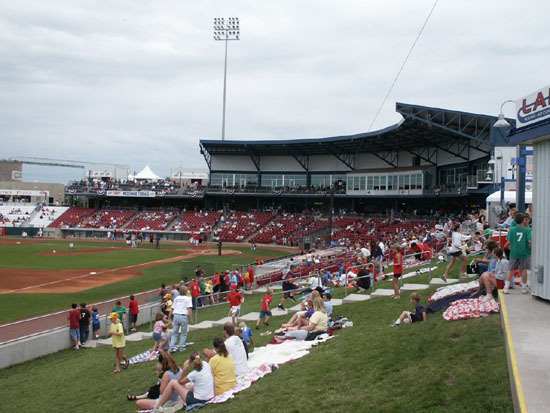 Suites and the press box are above the concourse and a party terrace with a few rows of seats on the first base end. 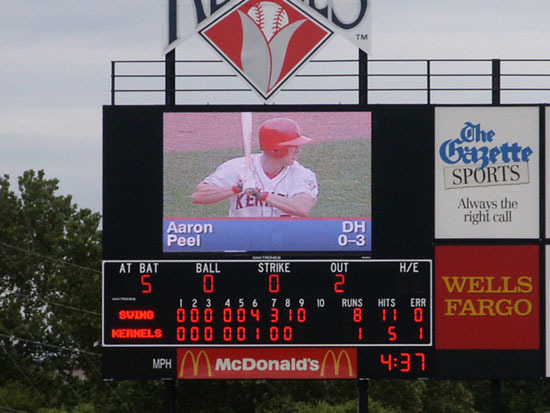 There is a large scoreboard with red numbers and an excellent video screen. 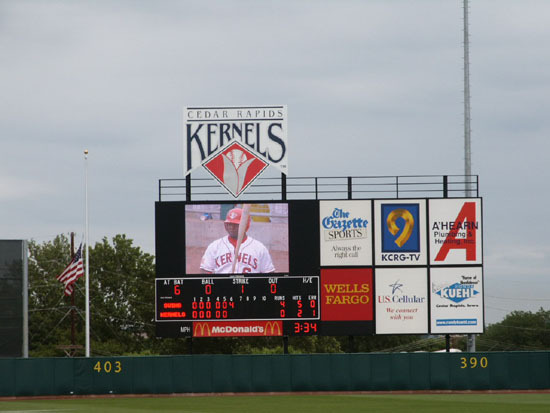 The Kernels were playing the Swing of the Quad Cities. 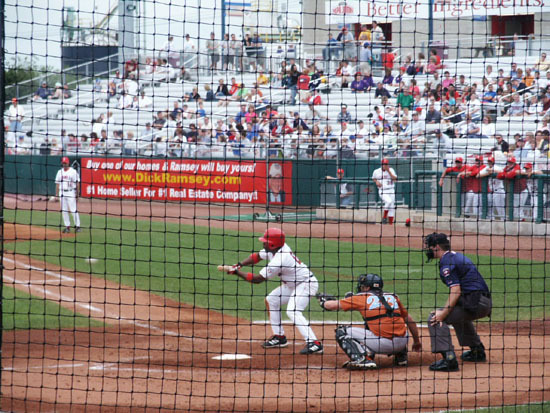 It was scoreless through 5 innings, then the Swing scored 4 in the sixth. 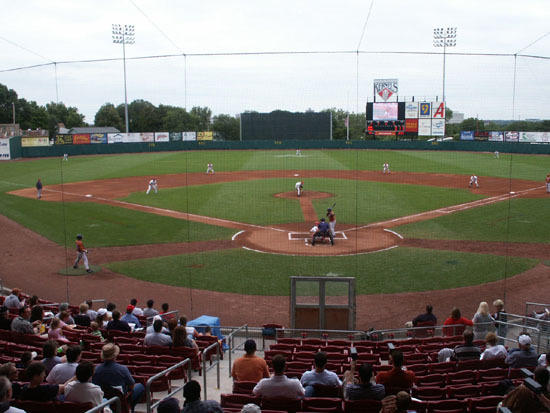 The Kernels delayed too long in taking out the starting pitcher and it went downhill from there with the Kernals losing 8-1. 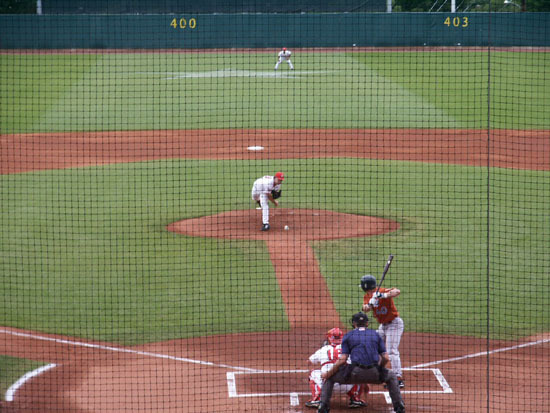 The box score was Swing R-8, H-11, E-0 and Kernals R-1, H-5, E-1. 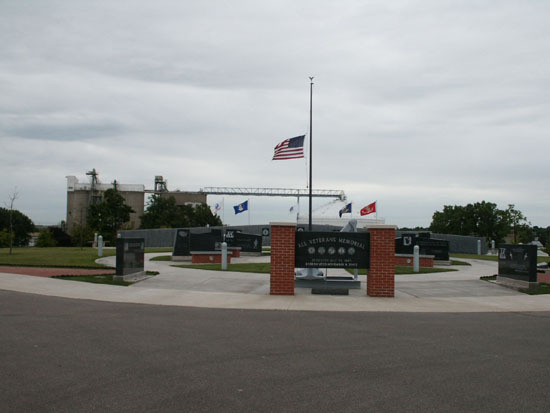 The field lines are RF-325', RC-390'-403', CF-400', LC-407'-378', LF-315'. 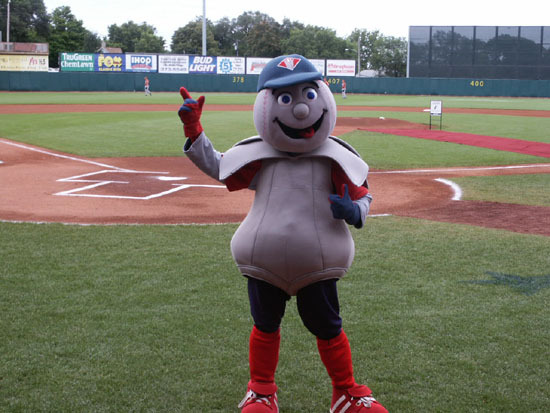 Mr. Shucks is the mascot. 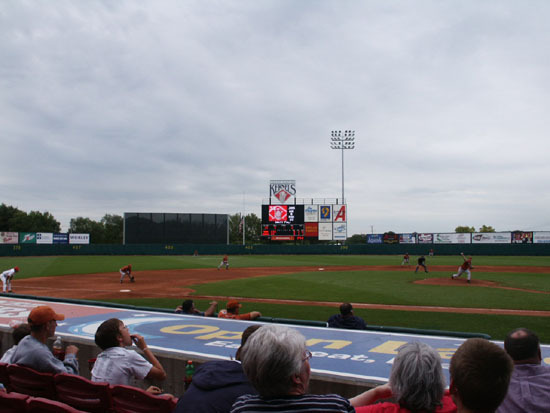 Attendance was 3,382 on a cool(70 degrees), cloudy afternoon. 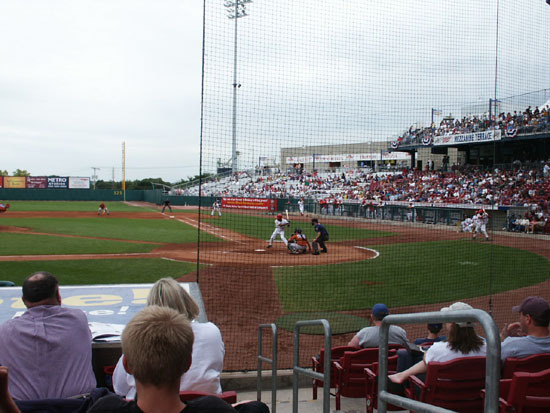 We talked with some fans who had driven down from Waterloo to see a Swing player they knew.